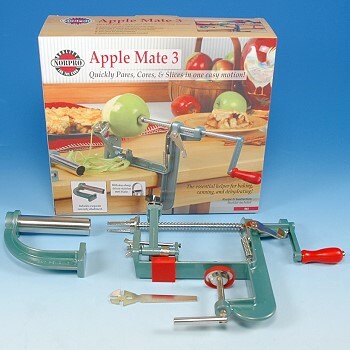 The APPLE-MATE 3, is one of the finest available! 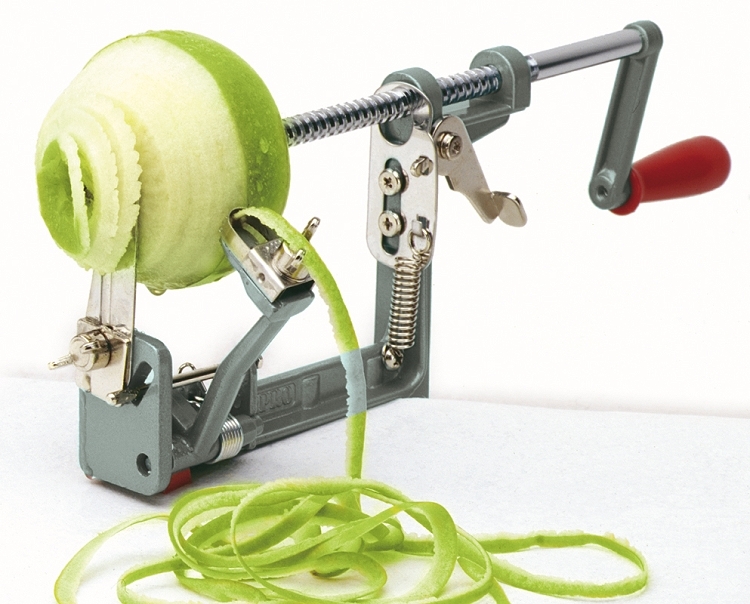 Makes peeling, coring and slicing apples a snap! 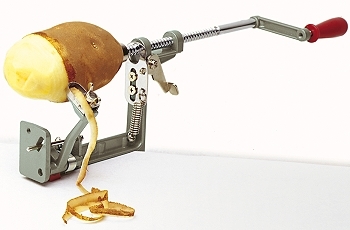 Capable of five separate functions. 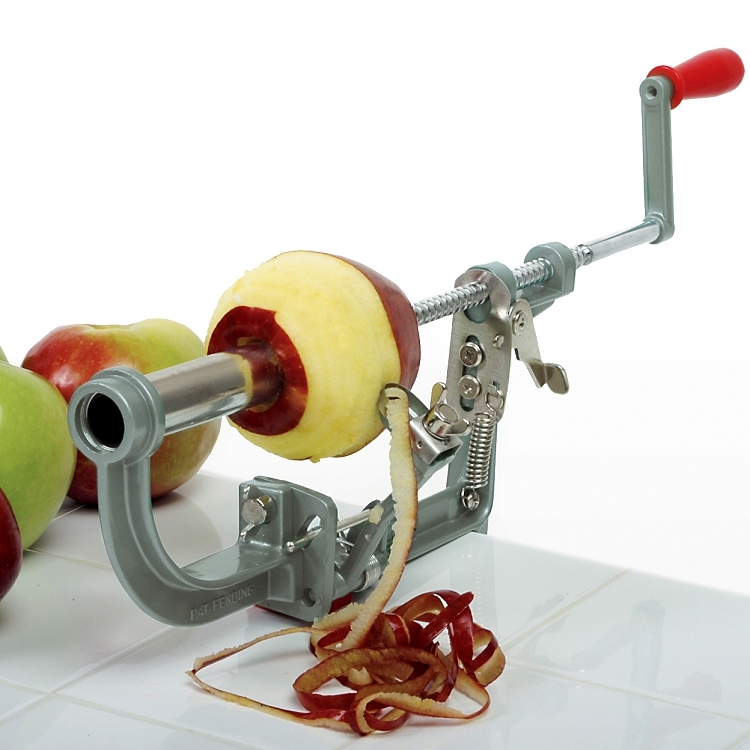 Simply add or remove components from the apple peeler to meet your demands. 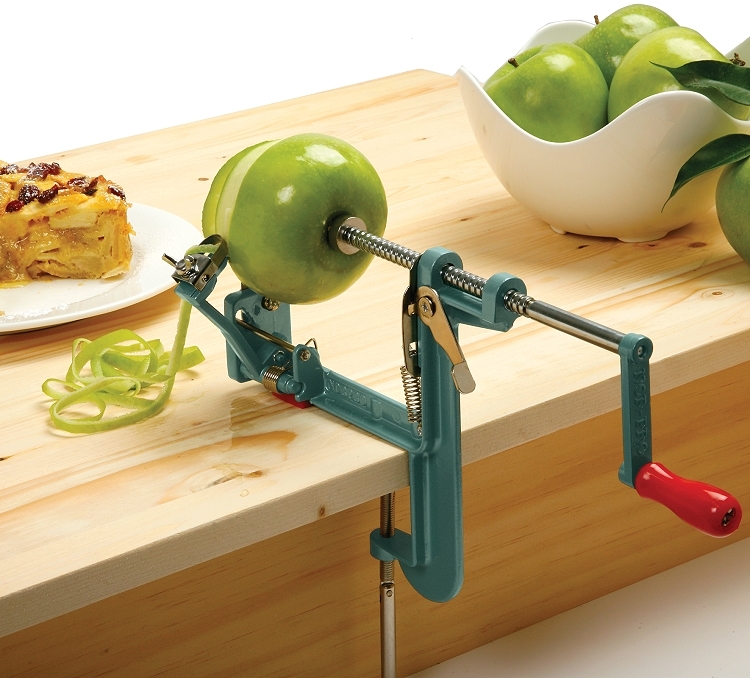 Clamps to most tables and countertops, easy to use and clean.